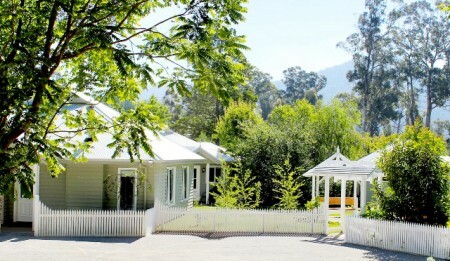 Beautiful traditional county self –contained cottages for couples or small families Set on over ½ acre of cottage garden in the heart of Marysville. just a 2 minutes stroll over the Steavenson River to the Marysville village. Quality family accommodation with fully equipped kitchens, real wood fires, spa, fully equipped kitchen.